First of all, we want to thank everyone for the tremendous support watching and spreading the word about OSIRIS: THE SERIES! We couldn’t have made it this far without everyone’s help! Being 100% independent without any corporate sponsorship means we can use all the support we can get in telling the world about this great project! In the next couple weeks we will begin a new tour of screenings around colleges in the southeast. Similar to our Atlanta premiere screening event, we will personally present the first five episodes and be available for an interactive Q&A session afterward! This will be a great way to connect to younger fans as well as spread the word about the series! Stay tuned to this site, the Facebook page and the Twitter page for dates and school details. To facilitate the promotion and organization of the College Tour beginning this week we will move to a bi-weekly schedule. 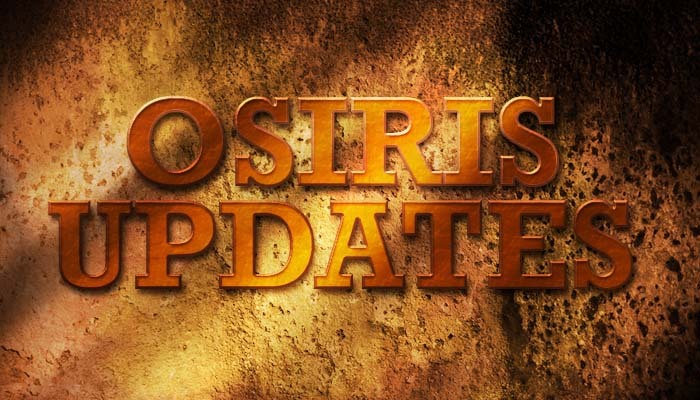 So unfortunately that means no new episode of OSIRIS this week. Episode Three (guest starring Charmin Lee) will now be released on Wednesday October, 19th with new episodes coming every other week afterward. Given that MOST other web series drop once a month, this isn’t as bad as you think. I know for many of you itching for your weekly OSIRIS fix, this may sound like torture. So what we’re hoping to do is to drop exclusive behind the scenes footage on the off weeks so you can see how the episodes were filmed! Again, thanks for your support and keep telling your friends about OSIRIS: THE SERIES!